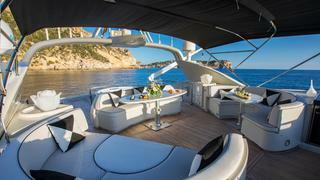 The blending of refined materials such as leather and wood create a warm and pleasant atmosphere for maximum comfort, charm and serenity. 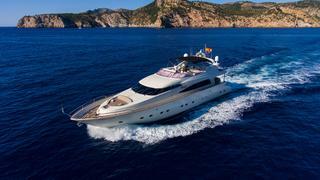 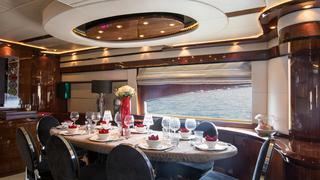 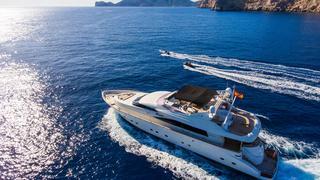 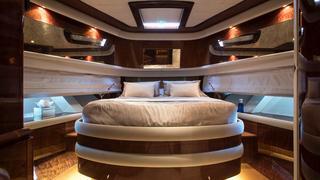 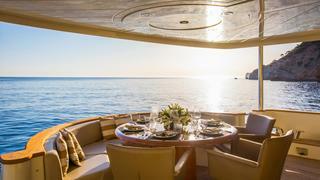 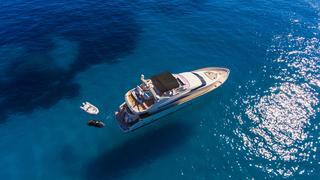 Motor yacht Seraph will surprise you and your guests with her elegance. 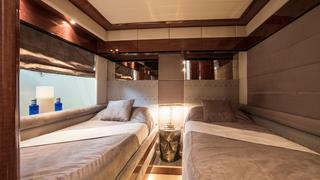 Seraph boasts spacious accommodation for eight guests in four cabins consisting of a full beam master suite with a large double bed and a sofa, a double and two twins. 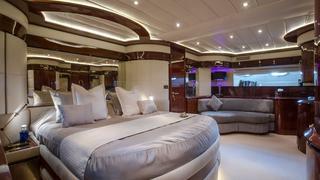 All cabins are finished in mahogany with cream carpets and cream leather ceilings and all have full en-suite bathroom facilities finished in Italian marble and memory foam toppers on beds. 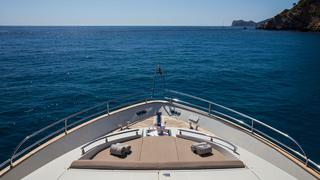 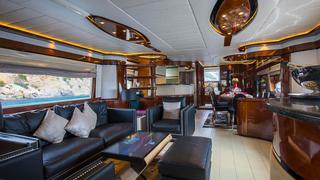 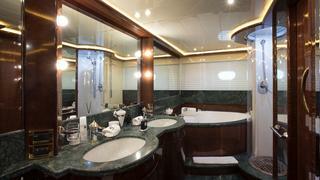 The large salon is bright and airy, finished in the same tone as the rest of the yacht. 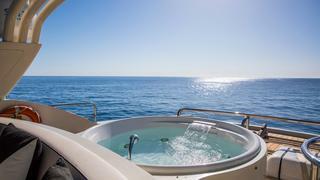 Outdoor areas include a generous aft deck with built in upholstered seating and a table for casual alfresco dining while up on the flybridge are sunbathing spaces and a Jacuzzi tub, protected from the sun by a sliding Bimini top with misting system as well as plancha for guests to enjoy BBQ's at the sunset. 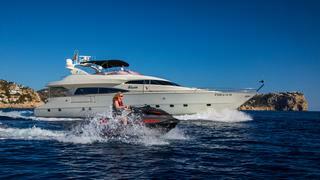 Motor yacht Seraph offers a large selection of water toys including Jet Ski, stand up paddleboards, water skis and wakeboard.